Showered in Sparkles: Add it to the list..
As I was browsing this pretty ladies blog, I came across something that will change my life forever. 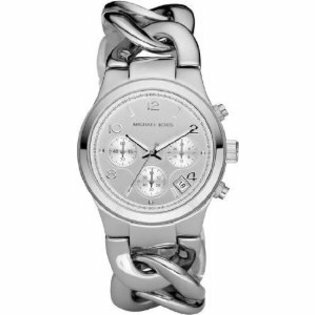 I've been wanting a new silver watch for quite some time, I just haven't found one that I was crazy about.. until now. She comes with a hefty price tag though. Don't they all? Christmas is WAY too far away. I want this pretty baby on my wrist come October. I know, I know - extremely far fetched. I want it in gold!! it's perfection. i am hoping that hubs gets me something similar for my birthday ... but why does it have to cost so much? boo! That is a cute watch!